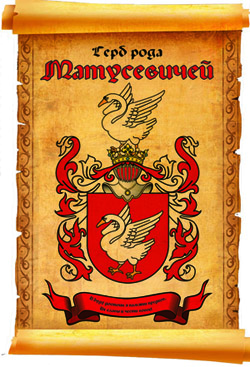 According to Andrey's father, Ivan Stanislavovich Matusevich, born in 1927, native of the village of Andreevka, Skvira district, Kiev region, the genealogic horizon of the kin is extended to the times of Ukrainian ruler Mazepa, when one of the ancestors was a member of the inner circle and after the ruler's treason was executed. Andrey knows that his ancestors were "chumaks" (salt traders) and were quite affluent. Andrey's grandfather, Stanislav Matusevich, was taken to Germany during the World War 2 and died soon after its end in the Stalin's camps for the repatriated. Andrey's grandmather, Melania Nesterovna Matusevich, was born in the end of the 19th century, lived all her life (till she was 103 years old) in one place (Andreevka). After the breakdown of the Soviet Union she was frequently visited by the Ukrainan historians to help restoring the events of the pre-war period. Andrey's father was a WW2 veteran, he spend 7 years in the army in Kagul (Moldova), graduated from Kishinev Institute of Agriculture and remained to work in Moldova. He became the head agronomist of the Ministry of Agriculture. He got married in Moldova where his two sons were born: Alexander in 1959 and Andrey in 1964. At the moment Ivan Stanislavovich lives in St.Petersburg, Alexander lives and works in South Korea as a radioelectronic engineer for South-Korean companies (LG, Amitec). 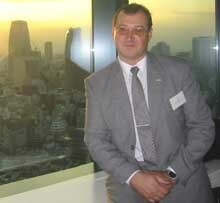 Since 1993 Andrey has been actively moving around the world. After getting a grant from the Soros Foundation he left for the University of South Carolina, USA; in 1994 moved to Russia where he worked in Moscow in St.Petersburg for the third largest tobacco corporation RJ Reynolds (now JT International) as a logistics manager. In 2002 he left for Honolulu where he studied at the University of Hawaii, Japan-America Institute of Management Science and Pacific-Asian Management Institute. In 2003 he completed his studies in Tokyo where he was awarded the degree of the Japan-Focused Master of Business Administration. After graduation Andrey returned to Moscow and works for the British consulting company Science Management Corporation Russia as a management consultant intorducing Japanese industrial management techniques in the Russian and international companies. He has a daughter. Maria was born in 1997 and currently lives in Moscow. In 2004 she finishes high school and plans to study further.